Autographs 4 Alopecia: What's All the Buzz About? There have been many big sports stories this past week with Lance Armstrong, Melky Cabrerra, Bartolo Colon, pre season NFL, and the MLB pennant races. 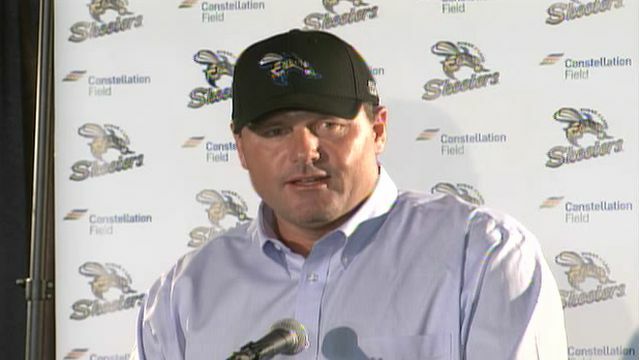 However, no story has been bigger than the signing of Roger Clemens by the Sugar Land Skeeters. The same league we watch night in and night out, that the boys love to get autographs from, that we have friends playing in, is now in the national spotlight. While on vacation, I first read tweets of the signing and was excited. I was excited because Roger Clemens is the greatest pitcher of my generation. 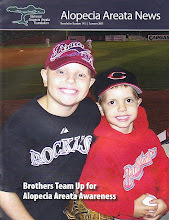 I was excited because he was going to be playing in the Atlantic League where we attend many ball games. I was excited because my boys would get to see him pitch...and I was excited because they would be able to get his autograph. So the question is...WHY? Why would one of the best pitchers ever sign in an independent league at the age of 50? To me there are only two possible theories. First...Sugar Land is the first Atlantic League team outside of the north east and they are looking at expanding further into Texas. 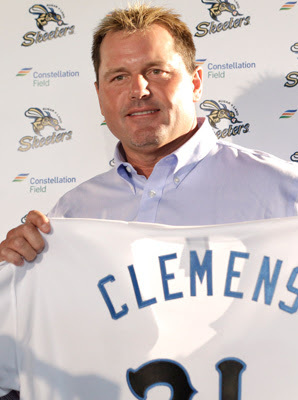 Roger Clemens is interested in being a part of the expansion and generating buzz in Texas about the Atlantic League. By him signing in Sugar Land, the Atlantic League will be the center of the sports world on Saturday night. ESPN is airing an Atlantic League baseball game! Unless you live under a rock, you will know about the Sugar Land Skeeters and the Atlantic League. With further expansion and the Roger Clemens name in the league as owner or consultant, it is a big WIN for the Atlantic League. The second theory is that he actually wants to pitch in Major League baseball again...but WHY? Roger Clemens is on the 2013 ballot for the Hall of Fame. Others on the ballot this year are Barry Bonds and Sammy Sosa. With all the speculation of steroids and HGH surrounding this years potential class, Clemens wants off the ballot! If he can make a comeback and throws 1 pitch in MLB this season, his name comes off the ballot and he waits 5 more years to get back on. So he would intentionally be delaying his possible Hall of Fame vote to be 5 more years past the "steroid era". Clemens would separate himself from the Bonds and Sosas of baseball with the hopes of becoming a first ballot Hall of Famer. So what is my guess? I think Roger Clemens throws 1 or 2 starts for the Sugar Land Skeeters and makes his way back to Major League Baseball. There are no contenders looking at 50 year old pitchers that haven't pitched in 5 years. There are teams like the Houston Astros struggling to fill seats and could use an end of the season spark. Clemens relationship with the Astros is well documented so it makes sense. He helps them sell a few tickets, and they help him delay his Hall of Fame eligibility. 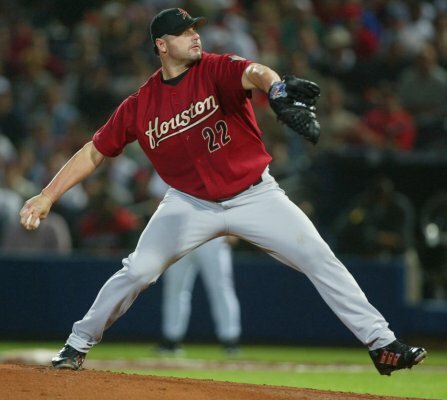 When the rosters expand September 1st in Major League Baseball, look for Roger Clemens to be a pitcher once again for the Houston Astros. In 2018 he will once again be eligible for the Hall of Fame. Bottom line is that Roger Clemens belongs in the Hall of Fame...whether it's 2013 or 2018! 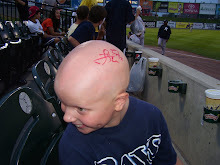 What does it mean for Autographs 4 Alopecia? While it would have been great to have the boys see a future Hall of Famer pitch and the excitement they would get by getting his autograph, I just don't think the Atlantic League is where he will call home. If only for a brief time, the Sugar Land Skeeters and the Atlantic League will shine bright on Saturday night! So what is your best guess how this all plays out? Leave a comment, email me at gglass1511@yahoo.com, or give me a call at 717.330.2797.